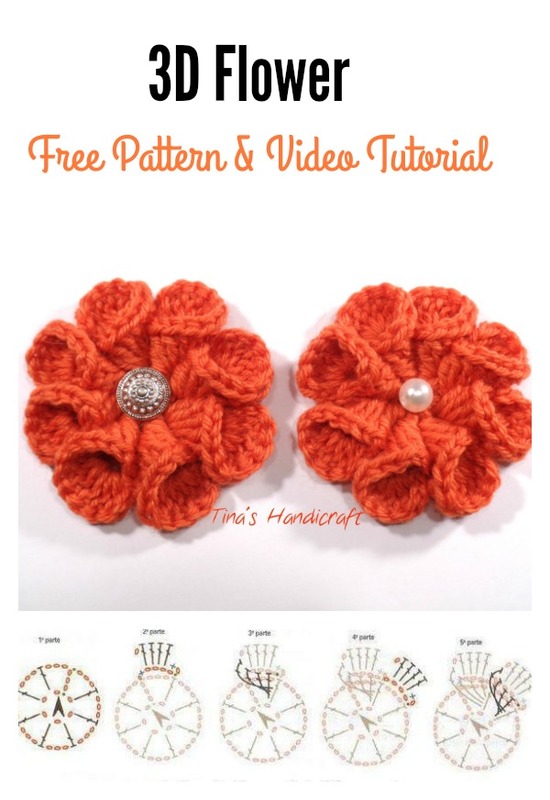 The crochet 3D flower patterns we featured last time have been well received by our readers. In this post, we are going to learn how to How to Crochet 3D Flower Granny Square Baby Blanket, which combines both crochet 3D flowers and granny squares into one marvelous piece of blanket. This beautiful blanket is a great choice to cover babies, thus it’s a wonderful gift for a baby shower. Flowers add happiness to a baby blanket and bring smiles of love when received in a colorful bouquet. If you want to start this project, you can learn how to crochet 3D flowers in the first link, then the granny square in the second link. Enjoy. BTW: You can purchase this from Etsy. Though the language of this website is not English, crochet charts and photo tutorial in the link below are very helpful. You can also try to Google translator to translate it into English.